Tue., June 27, 2017, 3:15 p.m. The Spokesman-Review outdoors editor Rich Landers was awarded the Jade of Chiefs Award Monday at the Outdoor Writers Association of America annual conference in Duluth, Minn.
Landers, an outdoors writer at The Spokesman-Review for the past 40 years, joins an elite group of writers as the recipient of one of the most prestigious OWAA awards. The Jade of Chiefs Award was established in 1958 as OWAA’s top conservation award. Landers is the 52nd recipient of the Jade of Chiefs Award. Pat Wray, the 2015 Jade of Chiefs recipient, introduced Landers as one of the stalwarts of outdoors writing. “Our newest chief has been with the same newspaper since 1977. He has always done well in OWAA writing competitions. In the heyday of our newspaper contests, our newest chief put out such a superlative outdoors page that some other newspaper editors were hesitant to enter the contest against him. “As the newspaper business changed our newest chief changed right along with it, always staying at least even with the high-tech wave. He maintains blogs about hunting, fishing, outdoors, outdoor photography, wilderness and trails. He also places stories on Facebook and in Twitter. “Our newest chief is not afraid to take a stand when necessary. His courageous work on behalf of our natural resources and the environment have earned him the respect of all who have read his articles and columns as well as multiple awards. 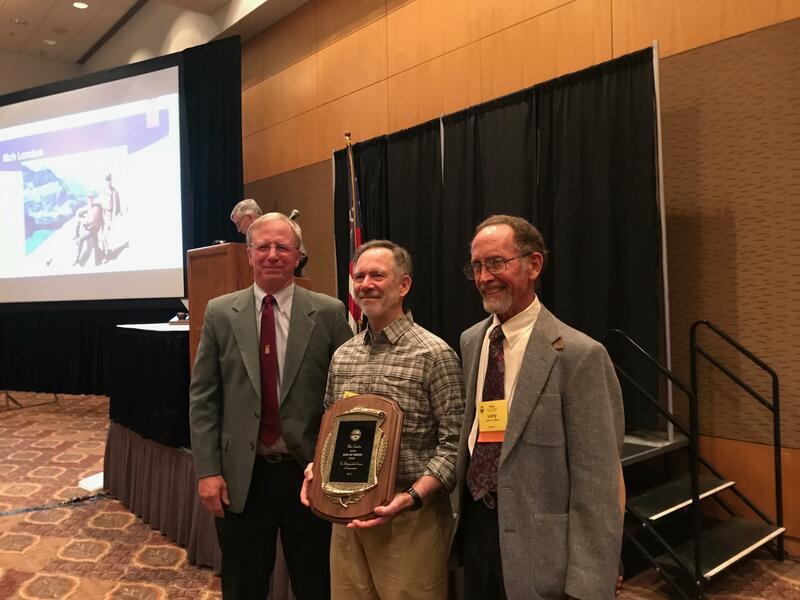 He has been recognized as the Conservation Writer of the Year by both the Idaho Conservation League and the Washington Environmental Council. The Jade Award represents an affirmation of OWAA adherence to, and support of, the principles of conservation. The OWAA started in 1927 and is the largest and oldest association of professional outdoor communicators in the United States. Published: June 27, 2017, 3:15 p.m.